If you’re interested in T-Mobile’s Buy One, Get One deal on the Galaxy S8 but don’t want to add a new line, Samsung’s got a new deal that you may want to check out. Samsung is now offering a Buy One, Get One deal on the T-Mobile Galaxy S8 and S8+. To qualify, you need to buy two T-Mobile Galaxy S8 or S8+ phones from Samsung.com and then activate at least one of the devices on a postpaid voice and data plan. Once you’ve activated at least one GS8 or GS8+, Samsung will send you a refund of up to $750 to cover the cost of the lower priced device. The refund will only be sent once you’ve activated at least one device. You can activate a phone on Samsung.com at the time that you purchase your phone or within 14 days of receiving the device. Samsung is currently selling the Galaxy S8 for $750, or $31.25 per month for 24 months. The Galaxy S8+ is $850 or $35.42 per month for 24 months. While Samsung’s BOGO deal on the Galaxy S8 is similar to T-Mobile’s in that you can get two GS8s for the price of one, the Samsung deal doesn’t say anything about adding a new line of service, which makes the offer appealing to folks that don’t need another line. Samsung says that this offer is available for a limited time, so if you want to take advantage of this offer, you may want to do it sooner rather than later. One final detail worth mentioning is that Samsung is offering a free Entertainment Kit with the purchase of a Galaxy S8. That kit includes a Clear View Standing Cover, a 64GB microSD card, and six months of Netflix. There also seems to be issues unlocking the device as Samsung locks it, but T-Mobile doesn’t have the phone in their system to unlock. Buyer beware on both counts. This! Posted the same warning on Android central. Please give me a few minutes to review the information that you have shared. I see that you want information about T-mobile promotion. You need to purchase Samsung T-mobile S8 phone on Samsung. Once the phone is purchased you will refund the amount of the phone with up to $750 within 7-10 days after activation. You need to active the phone with your carrier(T-mobile). I don’t have to activate a completely new line with T-Mobile? I can just activate it on one of my existing 4 lines? Then Samsung will refund me up to $750? Hope you had them notate that on your account like I did. There’s too much conflicting info here… But I was told the exact same over the phone. No new line necessary. Hopefully they honor this. I still don’t think we have anything concrete but at least we have some backing. I hope others follow suit for themselves. Luca, for one phone you need to activate a new line on Samsung.com and for another phone you can use the existing line. You can activate a new line from Samsung.com with the link. The link will be provided to you while making payments or you will get the link in email confirmation. got it, so i need to get a new line, correct? and the new line needs to be used on one of the new phone? and can i cancel the new line once i get the refund? Unfortunately, there is no such option to cancel the new line. I’m already part of TMobile. How does Samsung know if I’ve activated one? I’m guessing they will look up the IMEI or something. I put two phones in my cart and proceeded to the credit card information section. No option to register the phone there. I don’t want to purchase two phones and find out later I do have to activate a new line. I did the same thing and came to the same conclusion. There’s no direction on how to “activate” a device and what that consists of. Except I can’t find where the device is activated at the time of purchase. I went through every step of the buying process carefully and didn’t see that. Nor could I find where on their site you activate after the receipt of the device as the above indicates. If someone can get a definitive word of what activating consists of and whether it can be on a new line or existing line, please post. You can pre-activate if you place your order through the Samsung Shop app or you can activate it through the phone on the app. However, I cannot find anything on samsung.com that’ll let me pre-activate. I too am unsure about this. But ill just activate through the app if the website doesn’t update or something by the time i get my phones. I just got off the phone with Samsung. They are getting a lot of these calls today. The rep told me that they were instructed to say that you may either activate a new line or use an existing line. I have 2 existing line on T-Mobile One and made her clarify that I qualified for the $750 rebate. She confirmed that I did. She said that when the phones arrive that there was a number to call to help me activate them. The number she gave me was 866-265-4504.
i chatted with samsung. They say need to add a new line…. I just got off the phone​ Samsung e-commerce and they said you do NOT have to add a line. I asked for a supervisor and they also said that adding a line was not necessary but notated my order accordingly. U called them in which number??? I tried calling a couple of times but no one would answer. Did you questioned them about the process of getting it activate and what we’re supposed to do? They said after you get the phone, just activate one (or both) of the SIM cards on your account. It can be a pre-existing line. This was said by both the e-commerce rep and her supervisor. I’m going to stand by it since she wrote this on my account. Are you choosing to finance it or are you paying it in full? I chose to pay it in full since I’ll have my bank backing me up. I got the rep to send me an email confirming the promotion. I tried calling them myself but I guess I’m not selecting the correct options because it sending me to their promotion team instead of the e-commerce. Could you provide me with the options you chose? Also their promotion team said you have to activate a new since t-mobile is providing the promotion and not Samsung itself. So that’s what they originally told me and I said that I’m talking about the promotion on Samsung.com and not what’s being offered in store so they put me on hold and came back and said that I don’t need to add a line. This is a big steaming pile, man. Looks like you need a new line. You can read that as you see fit. SAMSUNG GALAXY S8 BOGO OFFER: Must be 18+ & 50 US/DC res. For a limited time, subject to change, on Samsung.com only beginning May 17th 2017 at 2:00PM EST, purchase two eligible Galaxy devices (either Samsung Galaxy S8 or Galaxy S8+) designed for the T-Mobile network and activate at least one of those eligible devices on the T-Mobile network via Samsung.com, either at the time of purchase or within 14 days of your receipt of the eligible device, and receive a refund of up to $750 of the out-of-pocket purchase price of the lower priced eligible device (after any credits, rebates or other offers and excluding any taxes or shipping or other fees) to original payment method (“Refund”). 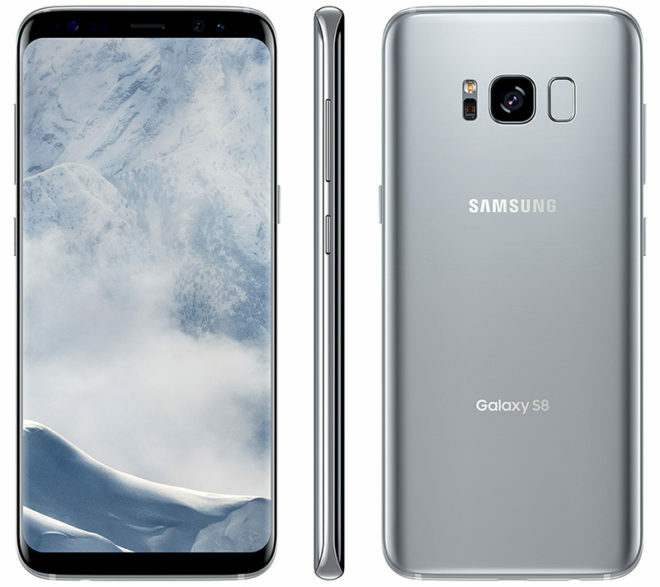 Eligible devices are either a Samsung Galaxy S8 or Galaxy S8+ phone (T-Mobile versions only). Refunds will be on the lower priced device only and will be processed within 7 – 10 business days from the date on which the eligible device has been fully activated on the T-Mobile network via Samsung.com. Samsung will issue Refund to the same payment type used to complete the purchase. Monthly postpaid voice & data plan activation required on T-Mobile network on at least one of the two devices being purchased. Activation must be completed through Samsung.com. Qualifying purchases must be made on Samsung.com at full retail price, either through outright purchase or financed through the Samsung Financing Program. Full pre-rebate retail price of both devices, as well as applicable tax on the full retail price of both devices, is due at sale, unless purchase is financed. It says activate in a line. So pretty much use the phone in a one of tmobile phone line is all they ask. That’s how I’m taking this deal. No need for a new line. lines. No new line needed. That’s what I thought as well. Activate phones on existing lines… not adding a new line. Perfect! Did that person just activate the phones in hand? I’m keeping close watch on the Slickdeals comment section. I’m on vacation in Iceland so if this is a legit BOGO I hope to have a S8+ in orchid grey waiting for me when I get home in a week and an arctic silver S8 will be going on eBay. Update: looks like the 25th it’ll happen. Reports saying people are calling in and reps are stating the 25th. Also John is on twitter teasing people to stay tuned. Hopefully it’s announced today. So why’s the deal ? Does this in fact require a new activated line or can I just use it on my existing line ? This deal says on new activation of T-Mobile line. The T-Mobile promo says activate new line of service for their BOGO. The Samsung.com deal doesn’t require activation of a new line. You just have to activate one of the phones through Samsung.com (can be activated on an existing line). The other phone doesn’t even need to be activated to get the rebate. T-Mobile has its own promotion which requires a new line to be activated. That’s what I was hearing but Samsung’s site didn’t word it like that. Thanks, I’ll try that out! The deal is sold out btw, I’m glad I did the LG G6 BOGO, less out of pocket costs. Umm, does she have the T-Mobile ONE Plan or the Simple Choice Plan? Not that it matters now but I took the deal and had 4 t-mobile lines already – I just picked 2 of the numbers – got phones yesterday, activated them today. So one will be paid off in 10 days, can then sell my S7 edge for about $300 and will have paid $450 out of pocket net, not counting the year of Netflix – $120, from the combine deal of each phone. Now if I decide I don’t need the second S8 , I can wait 40 days and unlock the phone and sell it and actually make money on the deal. There’s one major issue with getting the phone directly from Samsung. I doubt you can add insurance or extended warranty through T-Mobile. So if there phone goes bad in a year you are out of luck….